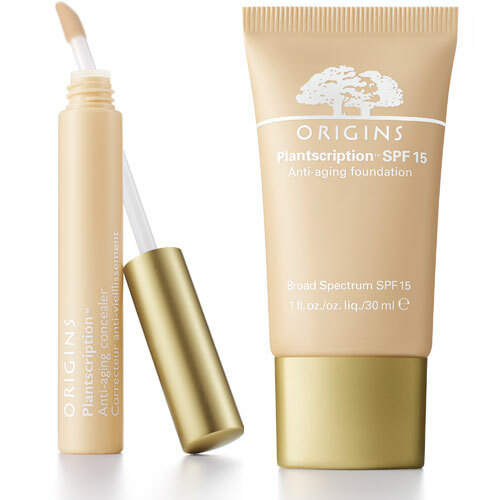 I have tried allot of brands of foundation from drug stores and some expensive branded foundations but as they contain ingredients such as perfumes, synthetic chemicals, parabens, and other nasty ingredients I feel they made my skin dehydrated, red, sensitive, flaky and gave me blemishes. The expensive brands were great for the Kim Kardashian look but in the long run using them everyday especially with acne and generally troubled skin gave me slight wrinkles around the eyes and mouth, and without make-up my sk in looked horrible and yes I needed more and more make-up So I decided to use a Natural ingredient Foundation and so Lily Lolo came along. I thought switching from unnatural liquid foundation to natural mineral Lily Lolo powder foundation would be really hard but it was the best thing I have ever done for my skin. You don't have to worry if you cant live without liquid foundation as you can turn Lily Lolo Foundation into a creamy liquid (Liquid minerals recipe below). I have not tried it with the other brands but it probably would work the same. Using Mac Minerals or Rimmel Minerals is not the same thing as they may contain 100% natural minerals but they are not 100% natural products as a whole so you will still be putting allot of unnecessary chemicals on your face that it really doesn't need. I have now been using 100% natural Lily Lolo Mineral Foundation for over 6 years and it was the first ever natural makeup I have tried before venturing into other brands but always coming back to Lily Lolo. The reason I tried other brands like Bare Minerals and Jane Iredale was because I have to mix two different shades of Lily Lolo foundation "Cinnamon" and "Butterscotch" and I thought other brands would have one perfect shade. I found that none of the other brands had a shade close enough to my skin tone and even after mixing two shades they were very far off. Bare Minerals Matte foundation was too reddish even the yellow undertone "Golden Medium"one made me look like a tomato. I tried so many of the Jane Iredale colours from the Amazing Base Range and they were either too light or too dark, too purple or too ashy but not in the middle. However I do feel that Jane Iredale powder was long lasting and the look on the face was very soft and glowing and it didn't show up my smile lines or separate from the creases on my face even in the summer. I used Jane Iredale Amazing Base mostly on top of Jane Iredale Liquid Minerals which was also the wrong colour. I feel Bare Minerals would come second to Jane Iredale because it had a really nice soft finish and it was also long lasting. Now this doesn't mean that Lily Lolo doesn't apply nicely because it does have a flawless finish and I do look great but I think the others give a nicer sheen and it could perhaps be because the powders look like they are more finer and perhaps because they have more ingredients. Lily Lolo use only a few ingredients and most of all it does not contain some of the sensitising ingredients such as Bismuth Oxychloride that some other natural mineral make-up brands contain like Bare Minerals Original foundation. I have read Bismuth Oxychloride doesn't effect everybody but for some it can be very irritating. Jane Iredale contains Dimethicone which isn't considered harmful but some people may get irritations. Jane Iredale amazing base foundation contains natural SPF20, Bare Minerals and Lily Lolo Foundation contains SPF15 except for BareMinerals Ready SPF20. I don't need to use sun lotion but that is because I have a darker skin tone so I don't need a high SPF but if you have pale skin I would suggest using sun lotion too. All three brands of foundation don't feel heavy and I actually forget I'm wearing make-up.Jane Iredale is more expensive than Bare Minerals and Lily Lolo and I got less mineral powder compared to Lily Lolo which is the cheapest. Overall Lily Lolo Foundation colours work better for me and I get more minerals for my money. However I do feel that Bare minerals and Jane Iredale may have been better in terms of longer lasting and in the heat if the colours were right for me. I have combination skin mostly but its really oily during the Summer where I have occasional face make-up melt downs, I feel that my make up stays on longer when I apply Lily Lolo foundation with my liquid method as I touch up only once at the end of a working day as oppose to the original powder application. If I use Lily Lolo Foundation with the original powder application I have to use Aloe Vera Gel under my moisturiser as a natural primer and a primer such as Bare minerals primer on top of my moisturiser as well as Lily Lolo Matt Finishing Powder on top of my Foundation and I apply this before I start work around 7.30am and I will fix it around my nose and mouth just with the powder foundation around lunch time and tea time as I am most oily around those areas. I will touch up again but all over the face with my powder foundation and finishing powder when I'm leaving work as its extremely hot in the trains when I am going back home. So I always prefer my liquid method. Applying Lily Lolo Foundation during the winter I feel I don't need the Finishing Powder as it stays on longer. I am happy to apply it in both powder and liquid form. However I still use Aloe Vera under my moisturiser as a primer. Rating: 8/10 , would give 10/10 if they had more darker ranges in the concealer powder and perhaps more yellow toned foundations.